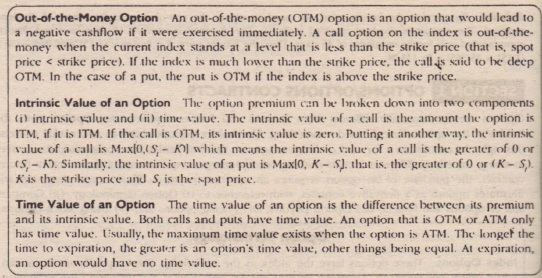 Options are fundamentally different from forward and futures contracts. 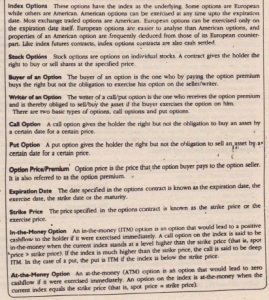 An option gives the holder of the option the right to do something. The holder does not have to necessarily exercise this right. In contrast; in a forward or futures contract, the two parties have committed themselves to doing something. 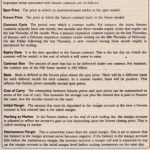 Whereas it costs nothing (except margin requirements) to enter into a futures contract the purchase of an option requires an upfront payment. 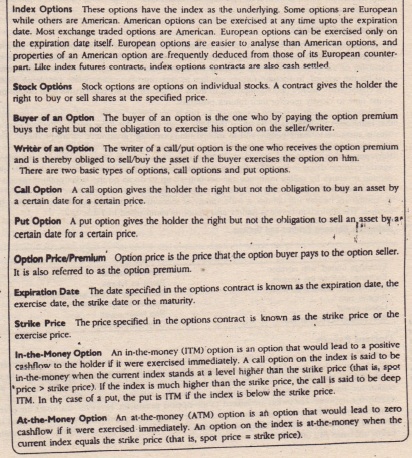 This section discusses and illustrates options as a derivative contract. 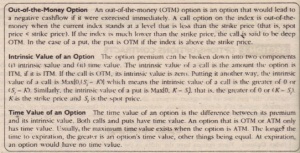 with reference to (i) Option terminology, (ii) Comparison of options and futures, (iii) Option payoffs, (iv) Pricing options and (v) Using stock options.